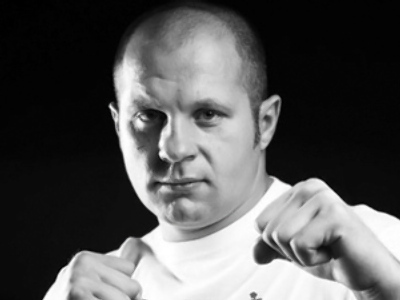 Affliction Entertainment and M-1 Global are looking for a new opponent to face Fedor “The Last Emperor” Emelianenko at the long-awaited Affliction: Trilogy on August 1, Sherdog.com reports. The source claims that the California State Athletic Commission will not license Josh Barnett after a drugs test came back positive with a comprehensive statement to be issued on Wednesday. Barnett says the news came as a wake-up call for him. “I took my test three weeks ago. I would have thought I would have heard something by now,” Barnett told Sherdog.com. Barnett was regarded as the one man able to challenge The Last Emperor in the ring. Dubbed “The Babyfaced Assassin”, he has an MMA record of 24 wins and 5 losses, in contrast to Fedor’s 30 wins and a loss by TKO. Current Cage Rage light heavyweight champion, Brazil's Vitor Belfort will substitute Josh Barnett.